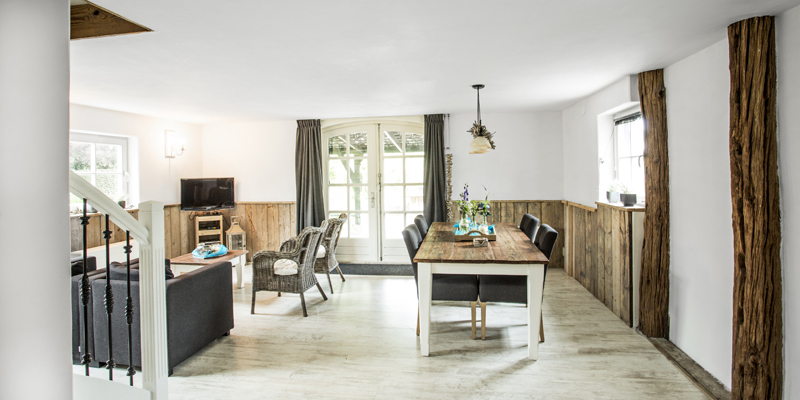 The ‘Bieslandse Heerlijkheid’ is a beautifully converted farm that has been transformed to luxury apartments and holiday homes in Delft (Zuid-Holland). 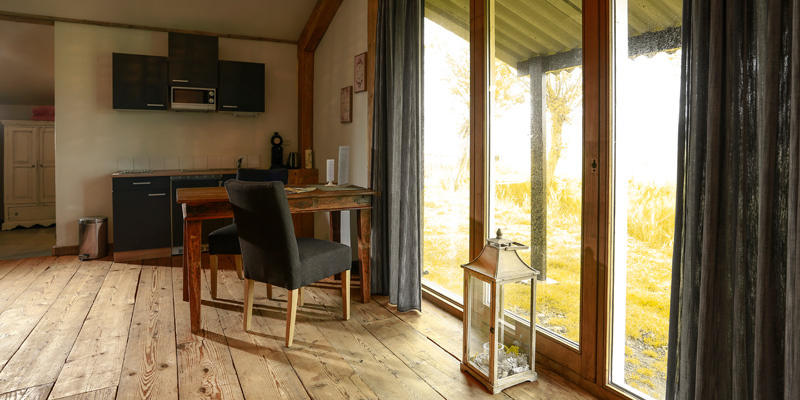 A romantic mini-break for two? A trip with friends or the entire family? 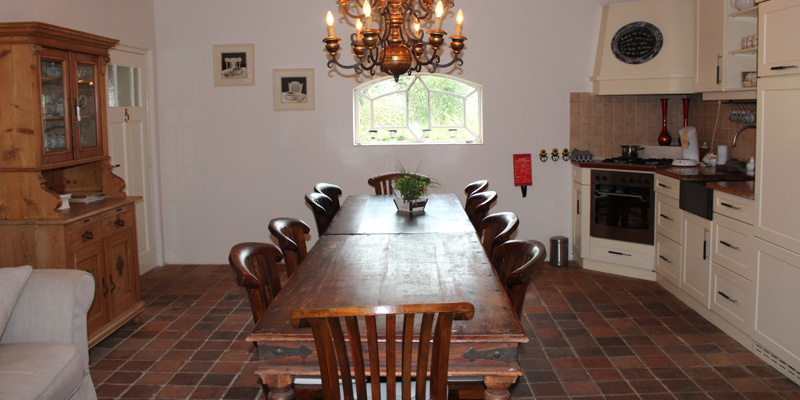 A pleasant place to stay overnight when working in Delft, Rotterdam or The Hague? Or looking for temporary accommodation (also for expats)? 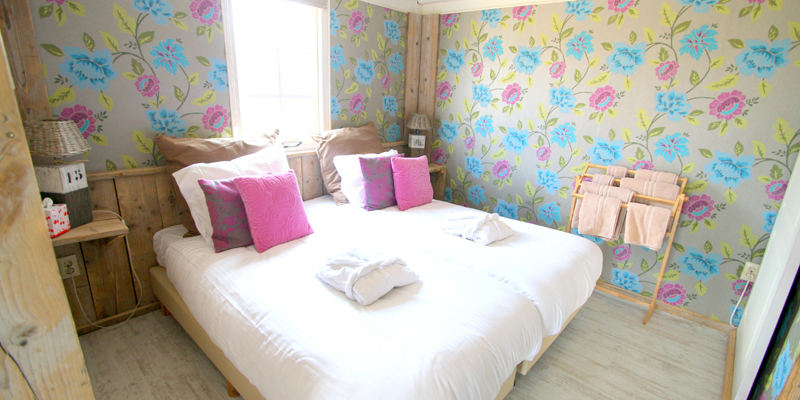 Then we have the perfect accommodation for you! 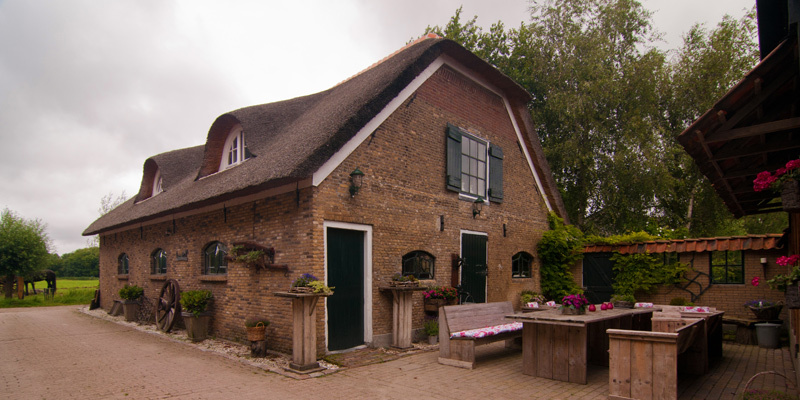 The ‘Bieslandse Heerlijkheid’ is a former Bed & Breakfast in Delft and consists of four holiday homes, two apartments and a garden retreat. We stayed in the garden room which was a hut away from the main building. It was quiet and, because there was nobody nearby, we didn’t feel like we had to be extra quiet if we were up early or late. There were called couple of chairs overlooking the field where it would be nice to sit and have a glass of wine in the evening. Unfortunately it was cold and rainy when we were there so we weren’t able to do that. Even though it was cold, the room was warm. The beds and pillows were really comfortable.Ron and Aria, the owners, were lovely and very welcoming. It takes about 20 minutes to walk to the centre of town, about 30 minutes walk to the supermarket and 40 minutes walk to the train station. There is a bus about 15 minutes walk away which will take you to the train station. There is also a hotel about 5 minutes walk away which serves very good food for a reasonable price. The Bieslandse Heerlijkheid was better than we had anticipated! The view from our room was incredible. We overlooked a farm field and felt like we had the place to ourselves. It was so relaxing to be in the country but it was only a short easy walk to get into town. Beautiful and peaceful place with extremely nice staff. The kitchen area in the room was wonderful so we could cook at home. Everything was nicely updated. We would definitely stay here again! Everything about about de Bieslandse Heerlijkheid was wonderful. The grounds and scenery were beautiful, the animals delightful, the rooms were gorgeous, comfortable, and spacious,, and the owners welcoming and accommodating. I couldn’t have asked for anything more, my only regret was not staying longer!